Worm composting, or vermicomposting, is the use of worms, usually red wigglers, to break down any and all organic matter into rich, black soil. You can have your worm farm indoors or outdoors, which makes it even easier to do. It is a process that helps to cut down on a households amount of garbage, as well as providing useful conditioning for gardens to help produce more food for the family. There are a number of options when it comes to keeping your worms. A great way to get started it to buy a worm composting kit – these are sold at your friendly hardware store or you can get them online. These composters are designed specifically to ensure your worms remain happy and healthy. However, some of these composters can be expensive and in fact almost any container could essentially be used for worm composting. The things you need consider before deciding on which type of container you will be using are how many worms you plan on having, how much you will be able to provide feed wise, and how much compost you want. In her book Worms Eat My Garbage, Mary Appelhof suggests that to find the proper size container for your worm composting, weigh the waste that will become the worms’ food for one week. After you have done this make sure that your chosen container will provide one square foot of surface area per pound of worm food that will be placed in it on a usual basis. The depth of your container should be between eight and twelve inches. Once your container has been chosen the next step is to make sure you provide a habitat that your worms will love. Worms like a moist environment, but their compositing home shouldn’t be too wet. One way to accomplish drainage is to drill holes in the bottom of the container. If you decide that drilling holes is the way you will go, make sure they are small enough that the majority of your worms will not fit through them to escape. Drill several holes depending on the size of your container, somewhere between 8 to 12 of them should suffice. After the bin is set up for drainage then get it set up on something to hold it off the ground so it can drain. But don’t let the nutrients that drain from your worms go to waste! Put a container under your worm farm to catch the liquid that drains from it. This liquid is commonly referred to as “compost tea” and it is great to use on your plants as it contains all the good things that drain out of the compost with it. Make sure that you have good airflow for your worms. It is necessary to achieve a balance in your worm ecosystem – don’t let your worms dry out, but also do let them get too wet! You don’t want to get a mouldy worm farm. Ensure that you have a well ventilated environment for your friendly hard-working worms. One last thing that your bin will need before you actually get started is a lid of some kind to make sure your worm home is snug and dark. 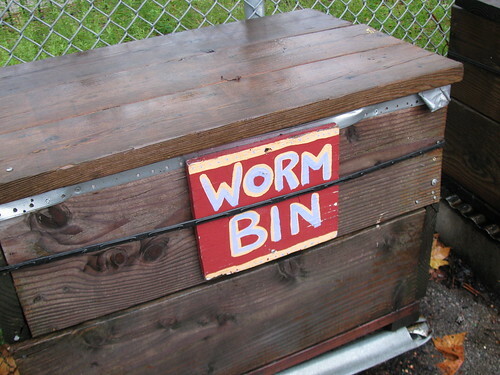 If your bin is outside then your lid needs to keep the sun from drying out your worms during the hot days. A lid should provide ventilation so that your worms will have plenty of air and it should also keep out any additional rainfall, so your worms don’t get too wet. Again this balance can be the trickiest part of worm composting. It is usually established through trial and error. Just try and see what works in your particular situation. All vegetable scraps should preferably be in as small of pieces as possible. This helps to speed along the process as well and makes them easier for the worms to eat them. Most worms will eat half their weight of food scraps in a day, so make sure you are not under-feeding them. 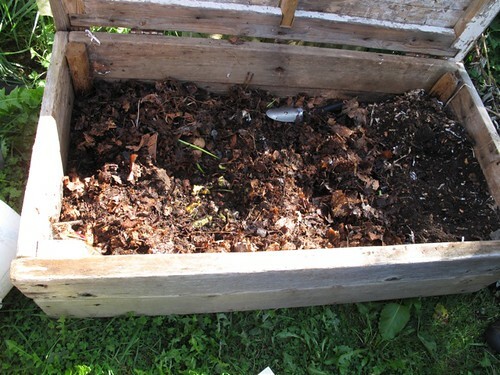 All of the food should be buried in one end of the worm container so that it isn’t visible on the surface since worms live and eat underground. 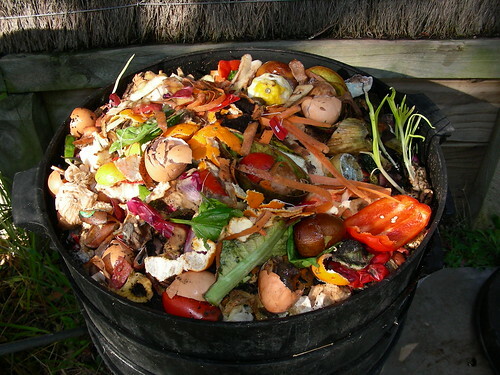 There are many foods though that should not be used in any composting situation and as such are not good for worm composting either. These include fatty, oily, and citrus type foods. Some things included in this category are chewing gum, dairy products, fried foods, animal by products (including meat), and any type of citrus fruits. As the worms will not eat these foods they can take a much longer time to fully decompose and in turn attract pests that are not wanted. It is better to just keep these types of foods out of your worm bin completely. To keep your worms happy and health, make sure they have a variety of healthy foods (much like us really!). An indicator that you may be overfeeding your worms is mould. If your worms can’t eat everything you give them, other organisms, like fungus, are going to feed on the excess. Overfeeding can also lead to an issue known as “sour bin”. This is when excess acidity builds up in your worm farm. “Sour bin” may also occur if you feed your worms too much of the same type of food. Make sure that there is a variety of those items listed above in your worm farm. 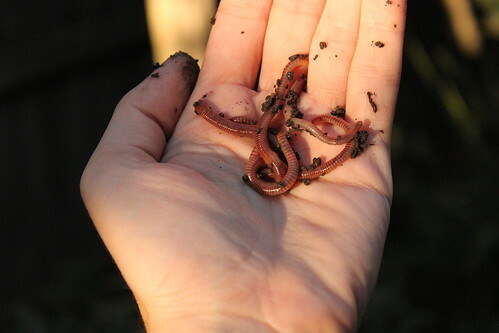 Having worms compost for you is a great addition to your self sufficient lifestyle. It is an easy way to recycle kitchen scraps and turn it into beautiful nutrient rich soil for your garden.